Dome tiles or fish scale tiles should be used. 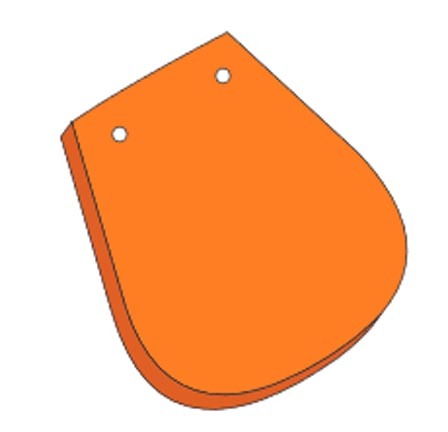 These are semicircular at the bottom and square at the top with the sides tapered to absorb the curvature. The tiles have little or no camber. 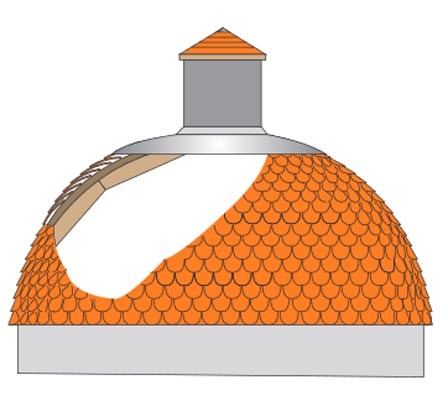 The size of the tiles in relation to the size of the dome is small so there should be little risk of tiles riding on each other. The shaping of the tails compromises weather efficiency but the tiles are more flexible in use. The pitch of the dome almost flattens out at the top of the roof so tiles here cannot provide any weather protection. Therefore a complete covering of lead or other metal is required to ensure adequate weather protection. Such a covering or cap can be decorative or in the form of a window detail to let light into the dome. 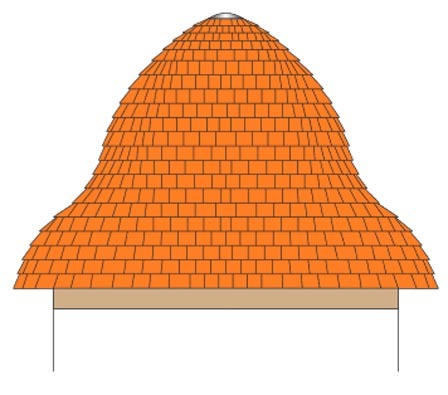 A cupola roof is a small dome but at the critical roof pitch, the dome rises to a peak to avoid the very low roof pitch angles. The groundwork can be a complex layer of plasterers laths laid obliquely ie bent over all the curves to allow tile nails to be driven in anywhere on the curve.